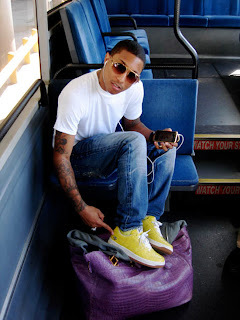 Pharrell is questionably one of the best dressed male celebrities out there. He might not be considered "prep", but he knows what he's doing. I'm not the biggest fan of the color, but the most awesome piece he owns, in my opinion, is his oversized Hermès Birkin bag. I like to think I could pull it off just as well as he does, but that's a little bit of a stretch. I guess more importantly I hope that my bank account is large enough to allow me to own one sometime in my life and still be able to put money and expenisive items inside. Soooooo lucky.